This past saturday during an anti-racist action against violent white supremacists in Charlottesville, VA, Heather Heyer was murdered by a white supremacist terrorist as he drove a vehicle through a crowd of peaceful protesters, injuring nineteen others. 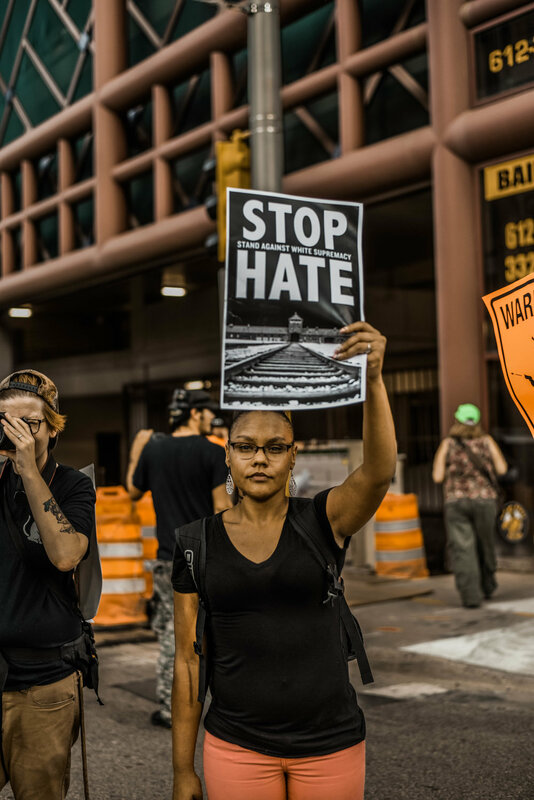 In reaction multiple Twin Cities based organizations came together to denounce the racism and hatred in solidarity with the Charlottesville protestors, marching from the Minneapolis Republican Party offices in Seward to the Hennepin County Safety Facility in Downtown Minneapolis. 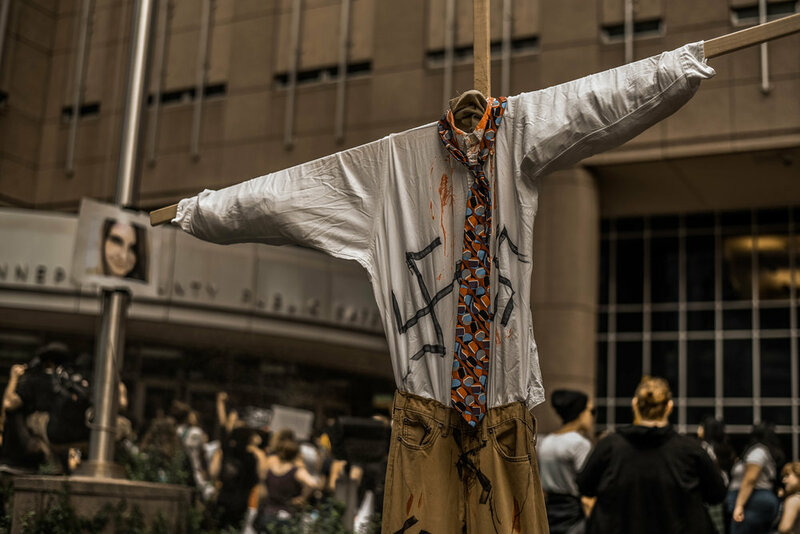 After marching the full route and a line-up of speakers, protestors shut down the nearby light-rail through actions focused on highlighting and deconstructing racist systems of power and privilege. "For context, there was a few people near the track but not on it. The driver instead of giving a light honk blared that horn for over 1 minute and continued to inch through slowly trying to intimidate people off of the track. Not only was it dangerous but it was unnecessary so I let him have it."